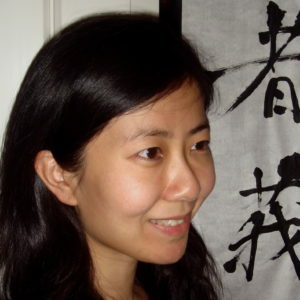 Ying Qian is interested in a wide range of topics in Chinese literature, cinema and media studies, including documentary cinema in comparative perspectives, experience and memory of China’s revolutions and socialism, and writing, translation and filmmaking in China’s multi-lingual and multi-ethnic border regions and among the Chinese diaspora. She is completing a book manuscript entitled Visionary Realities: Documentary Cinema in China’s Revolutionary Century, which investigates documentary cinema’s capacities to mediate between the visible and the visionary in a society engineering its own radical transformation. She has also begun researching for her second book project, which examines works and lives of writers, translators, and filmmakers working bilingually between Chinese and a non-Han language within China. Besides academic research, she has been a filmmaker, critic and film programmer. She has been programming documentary and Asian cinemas for the last five years. Her film criticism has appeared in Chinese, English and Czech language newspapers and journals, and her own documentary and short films have been exhibited and broadcasted in a number of countries. She joins Columbia after a postdoctoral fellowship at the Australian National University.